Ian is a graduate from NCSU with a Bachelors of Science in Computer Science with a concentration in Game Development. No real focus or concentration in the field yet, he’s just enjoying programming and problem solving while looking to build up his skills so that he can try his hand at making his own games. 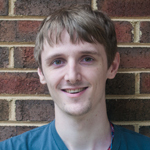 Ian is a Unity Programmer working with C# primarily who currently handles Clinical Encounters.